I am Jerry, CEO of Global Creations LLC, founder of Power to Explore and publisher of Global Creations EXPLORE! The eMagazine for Adventure and Exploration. As a kid I was an explorer. I couldn’t sit still to fish – instead I would search for frogs or unusual rocks. I went hunting (rabbits and pheasants) with my dad, but I never shot anything. I was too busy looking for other stuff and didn’t really get into the hunting mindset. As a Boy Scout I enjoyed hiking and camping. At summer camp, I enjoyed swimming, canoeing and especially the nature tent. The nature tent — small animals, snakes, odd insects, fossils, rocks and minerals, Indian artifacts and even historical items all found around the camp — was my favorite and led to a lifetime interest in such things. Fast forward to the working world. I got a degree in civil engineering, because there were engineering jobs available. I went to work for the Federal Highway Administration. After expressing my preference for the western states I ended up in Albany, New York. The itch to move west was still alive, so I moved to a new job with the U.S. Forest Service in West Virginia. Not really a western state, but a stepping stone and many more opportunities to explore the environments I love. I was soon able to relocate to Montana and finally Oregon where I now live. Along the way I earned a masters degree in forest management. Toward the end of my 35 year career, budget cuts forced the Forest Service to leave vacant positions unfilled and to assign more and more tasks to the employees that remained. These employees valiantly tried and continue to try to carry out the mandates of Congress without the resources they needed. Many, including myself, were stressed by the impossibility of doing any of our multiple jobs well. That stress led to this website. As you can probably guess by now. I’m a baby boomer. I retired after 35 years and promptly discovered a serious heart issue, arrhythmia, that required a pacemaker after a failed ablation attempt. I then learned that sleep apnea was contributing to my heart issues and began using a continuous positive airway pressure device to resolve that problem. Thankfully the reduced stress of retirement and these interventions worked and my health began to improve. But, I wanted even better health. That’s what this website is about – regaining the Power to Explore, with a focus on baby boomer heath but with applications to everyone that wants better heath and more energy. I’m still exploring as you can see at Global Creations EXPLORE! and in 2015 I got into backpacking. I want you to be healthy too so that when you feel encouraged by EXPLORE! or The Blog at Explore! to get moving outdoors, you will be able and ready to go. Toward that goal, I’ll be discussing vitamins, minerals and supplements along with exercise and other approaches that help me and just might help you regain, build and retain the energy we need to actively live our lives for many years to come. If you have any questions or comments for me, please use the “Contact” page. I also encourage you to share your ideas and experience with your comments on each article. 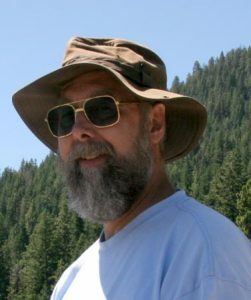 ExplorerJerry – AKA Jerry Haugen, your host.